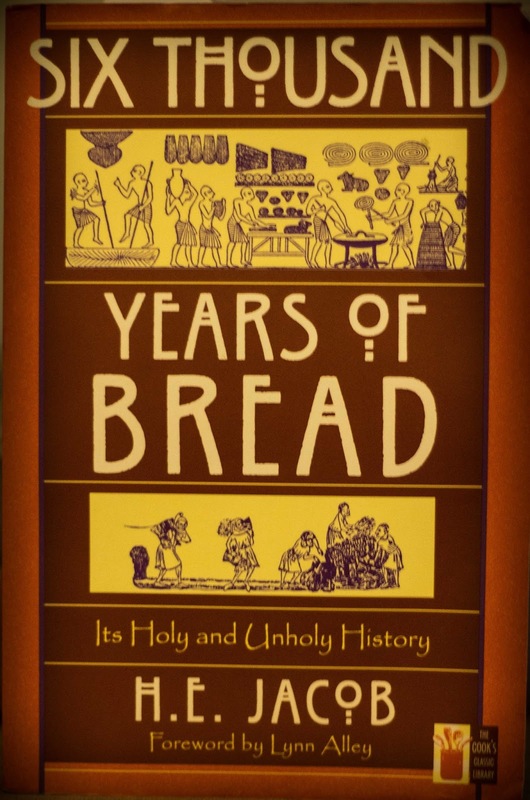 I read Six Thousands Years of Bread by H.E. Jacobs (published 1944) last summer, and have been meaning to write about it since then. Simply put, this is one of the best books I've read that looks at food and culture as a whole. 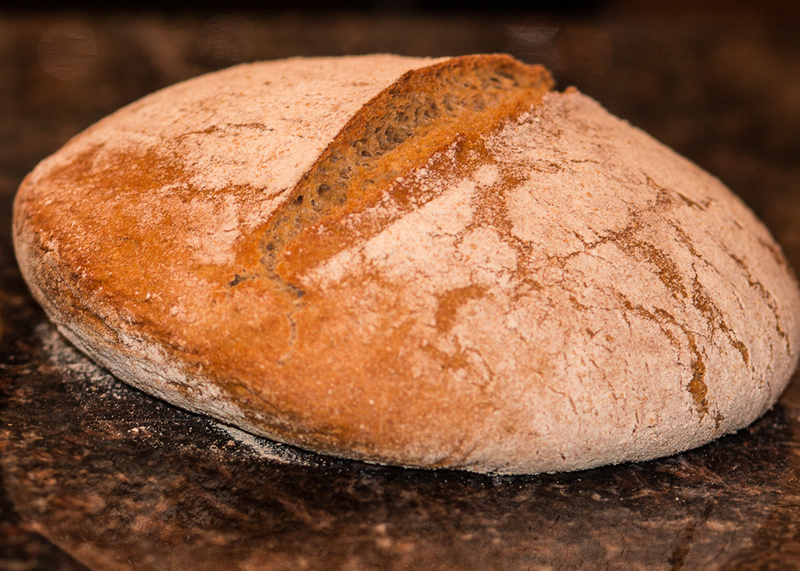 While in a similar vein as Salt by Mark Kurlansky, Six Thousands Years of Bread is a much more exhaustive tome. Starting with the ancient Greeks and Egyptians, Jacobs covers the Romans, moves to the Middle Ages and the rise and fall of Europe. Throughout he includes a number of events that are fascinating, but little-known outside the realm of history buffs; such as charting the Vandals destruction of the agrarian society of North Africa, something the region never recovered from. The book ends in the modern age, and our issues of land-management and depleting the soil of its nutrients. 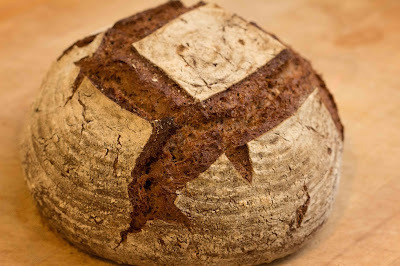 Although a bit drier in style than Salt, I loved this book and how completely the subject of bread is covered, from field to mill to final loaf. Jacobs has a large section on mills, which is full of fascinating details, such as in areas of soft stone quarries, people often had damaged teeth, as the mill plates would actually grind themselves down and deposit stone in the flour. The author also has a section on why the miller of the Middle Ages was a universally-despised man, on par with modern day tax collections or representatives of congress. This was because the miller was often under crippling debt to the local lord or magistrate, so the miller would often adulterate flour to increase their meager income. This lead to infamy as the German proverb, “besides every mill stands a hill of sand,” and the famous comical scene of the miller and his wife in Chaucer’s Canterbury Tales. Such are the present times that a prince can more easily attain the kingdom of heaven by bloodshed than others by prayer. Stab, murder, strangle, whoever can! If you perish in doing so, so much the better, for you can never die a more blessed death, for you die in obeying the divine Word and command and in the service of love to save your neighbor from hell and the bonds of the devil. Later called The German Peasants war, 130,000 peasants died in this struggle from 1524-1525 AD, making it the largest civil uprising until the French Revolution in 1789. Before this book, I had never heard of it. 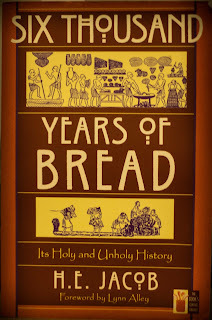 Six Thousands Years of Bread shows just how crucial bread, the staff of life, is held, and the sometimes horrible things that happen when people cannot feed themselves. The last part of the book focuses on mankind’s problematic relationship with the land, robbing it of nutrients and failing to manage the soil with any kind of long-term forethought. So people starve, unrest ensure, etc. A reoccurring theme of Six Thousands Years of Bread is that a lack of food is often the tipping point for war and civil unrest. On a slight tangent, something else that fascinated me was the way people would try to “stretch” flour in times of famine. The author was imprisoned in the Nazi’s Buchenwald concentration camp, where he ate bread made of potato flour, peas, and sawdust. As horrid as that must have been, he remarks that the most monstrous breads of all came from Sweden during their Middle Age famine. These breads are still on display in museums, which goes to show just how inedible they were, being made of 90% pine bark.